Leave St-Mère-Eglise and head west, on the D15 (Picauville/Etienville). Pass under the N13, at the Y-junction keep right. After about three kilometers is the bridge of la Fière, that crosses the river Merderet. Park your vehicle right at the parking. This is the spot of the memorial for the paratroopers of the 82nd Airborne Division. 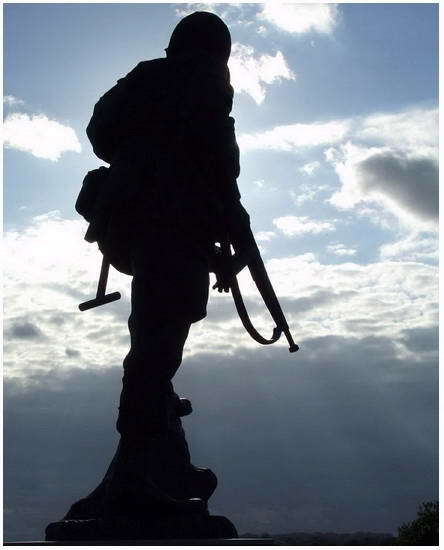 His eyes focused on the horizon for enemy troops, stares a bronze paratrooper (Iron Mike) into the green valley. On this same spot, around 500 para's assembled around midday of June 6, 1944. 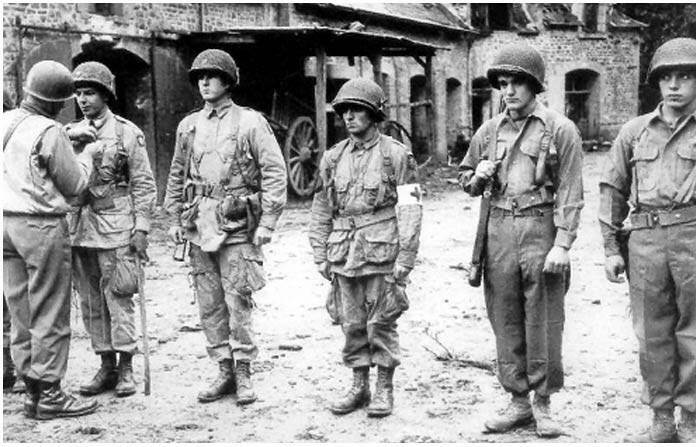 There was a constant heavy fighting between the Germans and members of the 505th en 507th PIR. But not a single German could penetrate their lines. General Gavin, the Assistant Divisional Commander, (his manhole is situated on the D15, a hundred yards back around the bend. You just passed it) took 75 men and headed for the a bridge a few kilometers south, near Chef-du-Pont. But the small unit was stopped by heavy opposition (more on that bridge when we continue the tour). Still today the foxhole of General Gavin, Assistant Divisional Commander, is preserved. It can be found on the D15, a hunderd meters in the bend of the road you just came off. General Gavin took 75 men and headed towards another bridge across the Merderet, near Chef-du-Pont, a couple of kilometers south from here. This small unit ran into heavy German oposition. (How that went on will be told when you continue your route). High water behind the Merderet river (front). At the bridge of la Fiére, Bazooka gunner Lenold Peterson and loader Marcus Heim were dug in on the left side of the bridge,	behind a telegraph pole. On the other side of the bridge another Bazooka	team, John Bolderson and Gordon Pryne lay in waiting. For support of	these two Bazooka teams of the 505th anti tank unit, there were rifles and one .30 caliber machinegun at the farm left of the first team. At the rear a 57mm gun was standing at the ready for a coming German counter attack. A couple of German probes had tried, but were easely thrown back. Around 17.00 hours, the rumbling noise of tanks was heard. Peterson and Heim stood up from their foxhole, and took a position in the	middle of the bridge, it exposed them, but they had a clear view over the	road ahead. As soon the first tank rolled into view, with Pantzergrenadiers behind it, Peterson fired his first rocket. Heim reloaded the Bazooka at once. 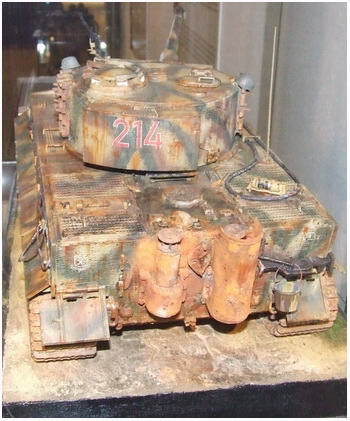 The tanks, light French Hotchkiss, that came at them belonged to	the 100 Panzer Ausbildungs und Ersatz Abteilung. The first shot was a good hit, and tank came to a standstill on the shoulder, but it’s turret was still in function, and it’s gun returned fire. But Private Joseph C. Fitt was already running across the bridge and moments later climbed on te tank and threw a grenade through the hatch. This finished the tank crew. Fitt made his retreat because	a second Hotchkiss was approaching. The second tank pushed the first one out of the way, but was moments later hit by a rocket form Peterson. But Heim was running low on rockets and went to Bolderson his spot for	more rockets, but found their hideout empty, exept for a riddeled Bazooka	and some rockets, which Heim took and returned at once to his buddy Peterson. On July 10, 1944, Bazooka gunner Lenold Peterson and loader Marcus	Heim received from Lieutenant General Omar Bradley the Distinguished Service Cross, during a ceremony in the courtyard of Château de Brocqueboeuf. 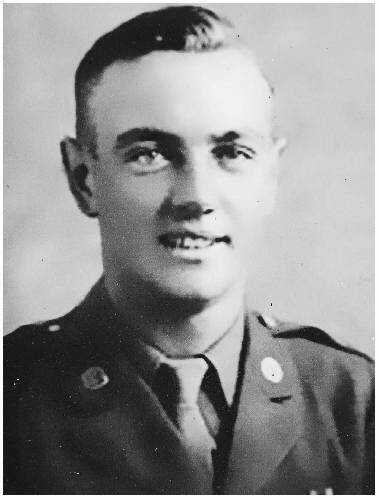 Private Joe Fitt, who threw a grenade in the turret of the first tank, was killed on June 13 near Picauville and was awarded the Silver Star postumely. Cross the Merderet en head west on the D15. After a kilometer at the Y-junction, go right to Helpiquets. 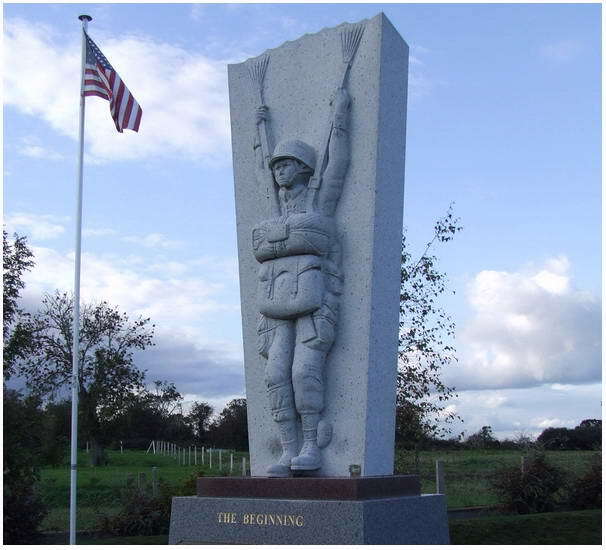 On the right you'll find the monument for the drop of the para's of the 507th PIR, 82nd Airborne Division. The 507th PRI landed close to her objective, but over a long distance, 50 kilometers between north and south! Just to the north of here the 508th PIR landed over a distance of 'just' 9 kilometers. The Germans had flooded the region and some of the para's drowned before they could start a fight. Return to the D15. At the Y-crossing, turn right. After a kilometre you come across a notice board on the right side of the road. Troopers of the 325th Glider Infantry Regiment were deployed to reinforce the para’s at the river Merderet. 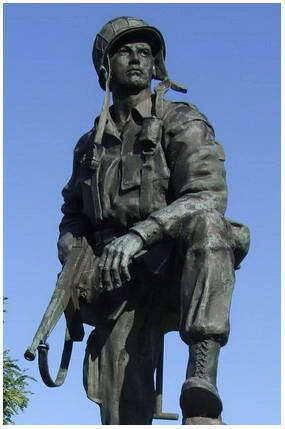 At this point where you are standing, the first Medal of Honor of the Second World War was won by a paratrooper of the 82nd Airborne on June 9, 1944. Pfc. Charles N. DeGlopper, 325th GIR, Company C exposed himself with his huge appearance against a fierce German opposition, so his comrades could reposition themselves to the bridge at la Fière. During a patrol in the morning, his platoon was cut off, and they were held under German machinegun fire. DeGlopper was already wounded when he decided that he had to do something. So, he took up his BAR and opened fire at the Germans. The other members of his platoon escaped through a hole in a hedge. DeGlopper was hit several times but stood his ground and managed to take out a couple of Germans. But it was an uneven battle, and DeGlopper was killed in a hail of bullets. Sometime later, his comrades found him amidst many spent cartridges, weapons and dead Germans. Continue your tour on the D 15 south, towards Pont l'Abbe. After a few kilometres you come at a Y-crossing with a large cross made of stone. Take the left lane towards Picauville (there is not a sign for Picauville). When you see the church of Picauville, than this will become your orientation point. 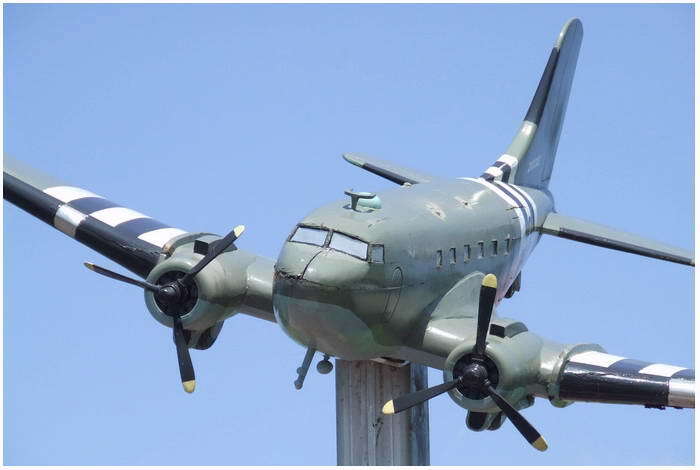 Turn into the parking lot at the church and on your left you see the large monument for five crashed C-47 Dakota planes. The monument was erected by mr. and mrs. Sehier, who live in Picauville. 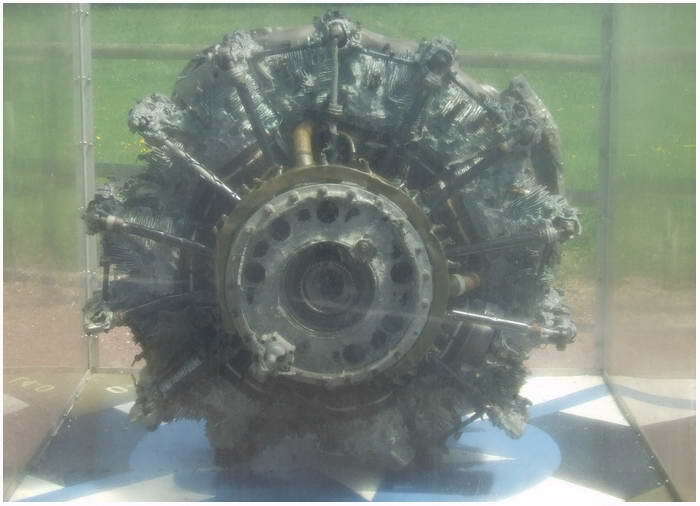 A large Plexiglas box contains a Pratt & Whitney 1830 radial engine which comes from C-47, 42-100819, (L4-O) of the 91st TCS, 439th Troop Carrier Group which crashed some 500 meters north-east from this spot, at 01.14 hour on June 6th, after being hit by German Flak. The crew of four men, and the sixteen paratroopers of 506th PIR, 1st Bat., 101st Airborne Division were killed. Beside the engine, in a not so clear anymore Plexiglas box, hang four plaques for the crashed planes, with the names of the men which were killed in their C-47. In the C-47, 42-100876 (3B-R) all of the crew perished. The first pilot, 2nd Lt. Marvin F. Muir received posthumous the Distinguished Service Cross because he held his plane, which was on fire, long enough on course so the paratroopers, belonging to the 506th PIR, 2nd Bat., 'D' Company, 101st Airborne Division could exit the plane. Shortly after the last men was out, the plane crashed. Behind the main monument stands a concrete rudder of an aircraft with five plaques with all the names of the crews and troopers on board. 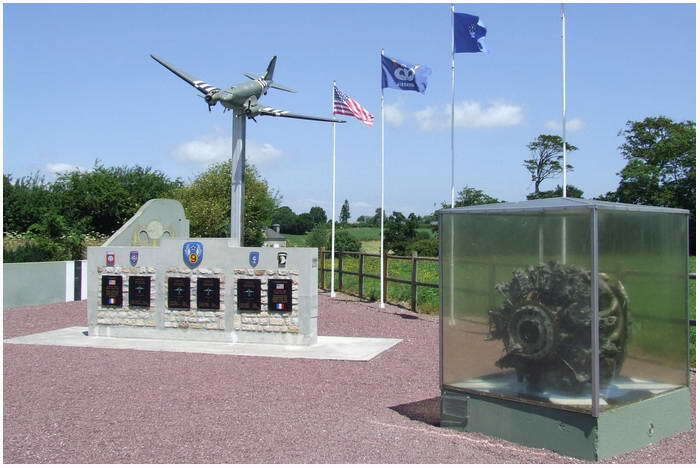 C-47, 42-3073477, (IB-P) crashed at 01.20 uur 500 meters south of Picauville, and this crew also did not survive the ordeal. Of the 17 paratroopers on board, belonging to 501st PIR, most were killed or got missing, just one survived unharmed, and two men were wounded. From C-47, 42-2407777, (IB-J) also the four men crew lost their lives, together with seventeen paratroopers from 501st PIR, which belonged to ‘G’ Company, just like the para’s from C-47, 42-3073477. From C-47, 43-15146, the complete crew lost their lives when their plane, which was on a resuply flight, crasht on June 7. There were no paratroopers on board when it crasht just north of little village of Gueutteville. As you may notice, all four of the five crashed C-47 planes, contained paratroopers of 101st Airborne Division. 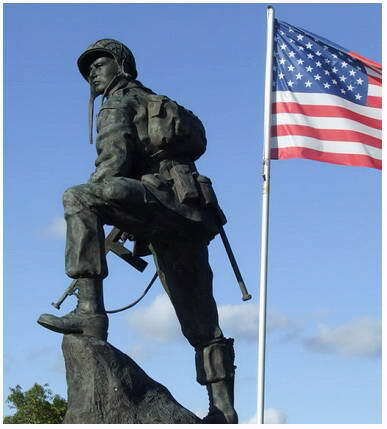 They all came down near the drop zone ‘N’ for the 508th PIR, 82nd Airborne, and were all shot down by Flak. The C-47’s were on route heading for Hiesville an south of Vierville, where their drop zones were located (‘C’ and ‘D’), but they would never reach their appointment with their destiny. You may continue to Etienville/Pont L'Abbé and by the D 70 to Chef-du-Pont, or return a kilometre and go right at Caponnet and head for Feirage, and then take the D 70 to the left Chef-du-Pont. 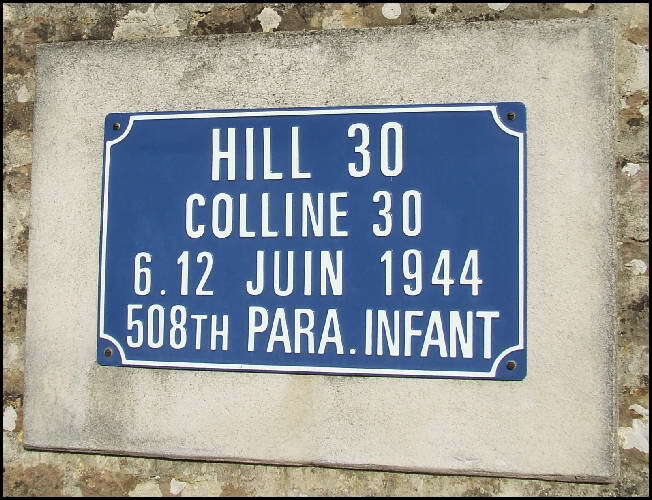 If you decide for the last option, watch out for a blue sign on a farm, with the text 'Hill 30'. 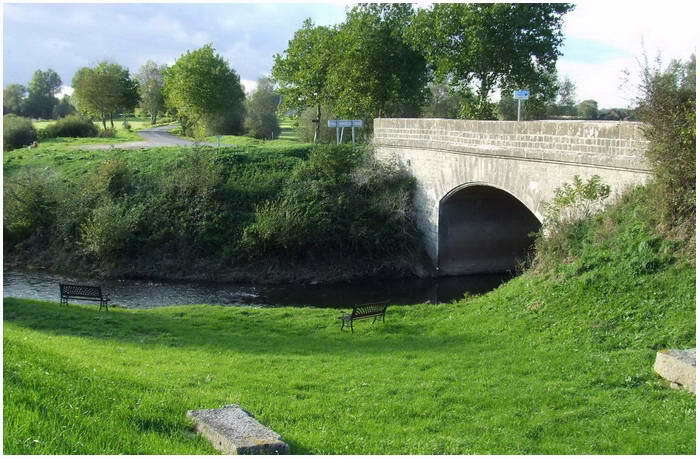 A Group of para’s of the 508th PIR had the task to capture the bridge across the River Douve at Pont l'Abbe. 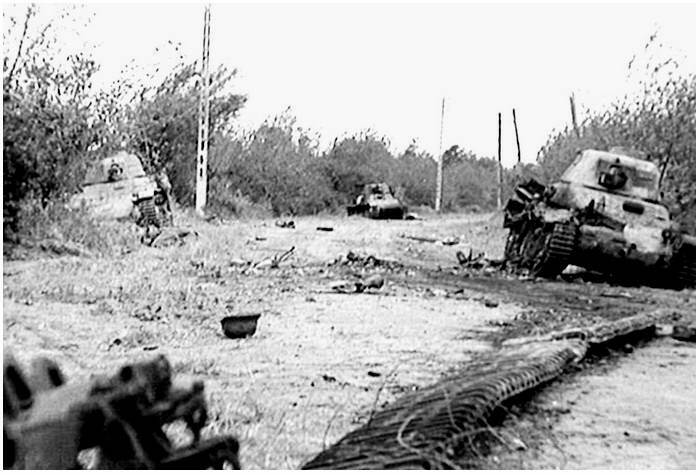 But a German battalion near this town had other plans than simply hand it over. The opposition was large in numbers, and the para’s decided to pull back. But the way back was blocked, so they took shelter in a farmhouse on top of a small bulge (Hill 30). The Germans, units of the 91ste Division and the 1057. Regiment, made the next days several attacks on the farm. But the para’s under command of Lt. Col Thomas J.B.Shanley, held their ground. Because of their stand, it was also of great importance to the later victory in this area. Just before you enter Chef-du-Pont, stop on the right when you crossed the bridge 'Pont du Capitaine Creek'. The fighting for this bridge was also a heavy one. This was mainly fought between men of the 507th PIR, 82nd Airborne and the Germans. Generaal Ridgeway, de divisional commander, arrived at the bridge la Fiére and ordered more troops to that bridge. Because of that, only a platoon was left for defense at this bridge where you are now. By some luck, a glider with an anti-tank cannon landed nearby. Captain Roy Creek used this weapon with success to stop the advancing Germans. The 'Pont du Capitaine Roy Creek', before the battle on 6 juni, 1944. 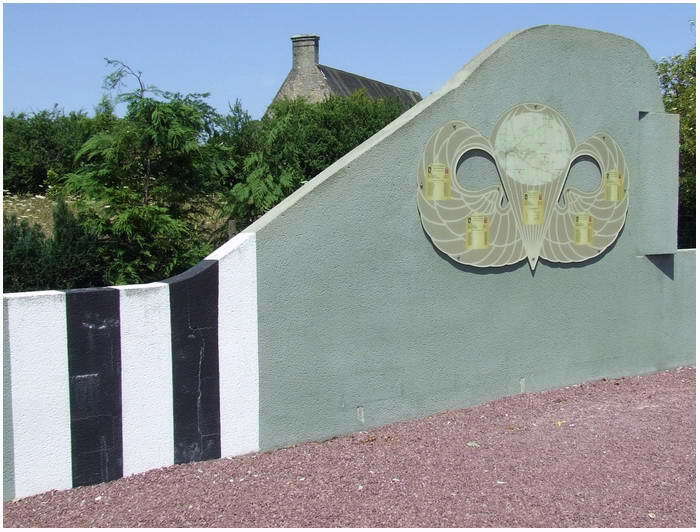 The bridge bares the name of Captain Creek, who, with the aid of two company's of the 508th PIR, held the bridge with a small group of men. The men of 508ste, under command of Lieutenant-Colonel Shanley, were dug in on Hill 30, a few kilometers to the northeast of here. Despite of heavy opposition of the German 91st Division and the 1057de Regiment, they held the German attack at bay, so the bridge was somewhat relieved. Because of their assistants they have also a commemorative stone at this bridge. Before I’m going to send you towards Cherbourg,	I like to point out a small but dedicated museum at Quinéville,	on the Avenue de la Plage 18. Untill 2016 it was known under the name Musée de la Liberté. But the museum was handed down to new owners and in April 2017 it was opened under the name 'Memorial World War II Museum'. In the former museum was no	room for weapons, and was concentrated on the civlian life during the occupation by the Germans. But now, under a new management, there are weapons in the exhibition, albeit of	a light caliber. The only thing preserved from the former museum is the ‘street’ with the daily life exhibition. 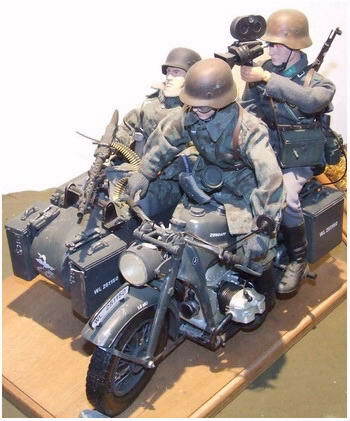 A great part of the museum is reserved for large models of vehicles and life like small puppets in wonderful settings. There is also a small cinema with leather covered seats! And a picture of standard documentary shots. The price is 7.00 Euro’s for 2017. Be warned, despite it’s name; 'Memorial World War II Museum', there is no explanation in English, just French. It has not the caliber of say the Utah Beach Museum or the Airborne Museum in Stè-Mere-Église, but when in the neighborhood, please make a short stop here. 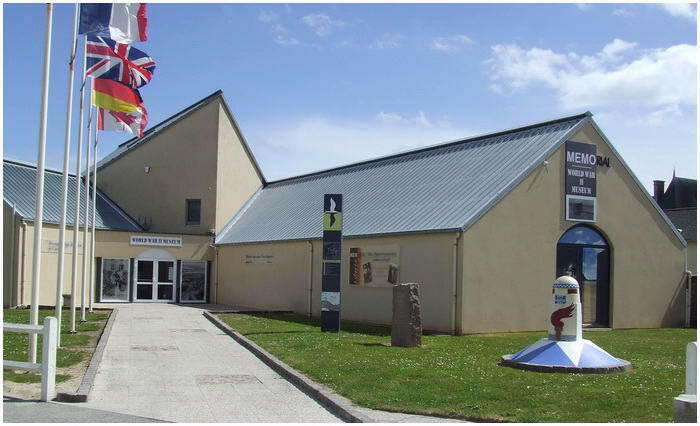 It is the most north to be found museum on Utah Beach, the next most north located museum is at Cherbourg, ('Musée de la Libération' in Fort du Roule).